We offer a free initial consultation to discuss your new home or remodeling project. During the consultation we listen to your vision of the project and gather information, including a list of your requirements, needs and wants for the project, budget, personal wishes, and living style. If you are purchasing land, we will inspect the site for the best location for your new home; discuss sun orientation, access and views. During the consultation stage, we will also discuss best practices for making your new, remodeled, or restored home more environmentally friendly and energy efficient, depending on your interest. With your budget in mind, we will provide you with insight on the savings that energy efficient design and construction elements may incur. For us, the consultation and planning process is an opportunity to work closely with you, to be transparent, and to ensure that the final product will align seamlessly with your vision for your home. We provide our clients with access to several of the area’s most talented architects that we have collaborated with for many years. The result is a one-of-a kind home customized with all your wants and needs. Keeping your project within your budget is of the utmost importance to us, and is accomplished by providing a preliminary estimate before the building plans are completed. Our years of experience and use of previous cost analyses helps with any budgetary decisions. While designing your home, we value transparency and collaboration. An open line of communication between McGray & Nichols, our architects, and our clients is our first priority. We trust that you will be beyond satisfied with the skills and knowledge of our selection of architects. While working with the best of the local selection, you will see your vision become a concrete plan. During the construction phase, the key words are quality and communication. To ensure quality, each project is assigned a project manager who is on site daily. The project manager is the first person on site and stays as your personal contact until well after completion. We invite you to visit the site during construction, speak to the builders, and ask questions at any time during the process. We pride ourselves on keeping you as informed as possible on a regular basis and will work with you via your most effective and convenient form of communication, be it email, phone, or in person. Our goal is to keep the entire construction process as stress free and enjoyable for you as we can. Energy efficiency has become a buzzword in recent decades, and houses play an integral part in energy consumption and the environment. Solar power, one of the most widely known means of energy efficiency, has become more affordable and available for use in commercial facilities, cars, and houses since the turn of the century. Passive solar homes, which are constructed and positioned in ways that harness natural energy from the sun, have been around since before the industrial revolution, when sun, wind, and water were the sole forms of energy running houses and farms. With the recent boom in energy efficient construction, federal tax exemption programs for owners of energy efficient homes have arisen. New Hampshire has also developed rebate programs, which can be used in conjunction with federal incentives. What is Energy Efficient Construction? Energy efficient homes must account for consumption of gas, electricity, water, building materials, and the surrounding natural resources. Energy use can be reduced at the level of home design, and in appliances like Energy Star dishwashers, laundry machines, stoves, ovens, and electronics. LED light bulbs also reduce energy consumption and cost less than compact fluorescent and incandescent light bulbs over time. Passive solar homes may include many of these energy efficient appliances, but save energy primarily by harnessing sun and shade for heating and cooling. In passive solar homes, design is key: airtight insulation maintains temperatures inside the house, while room and window placement eliminates the need for artificial lighting. 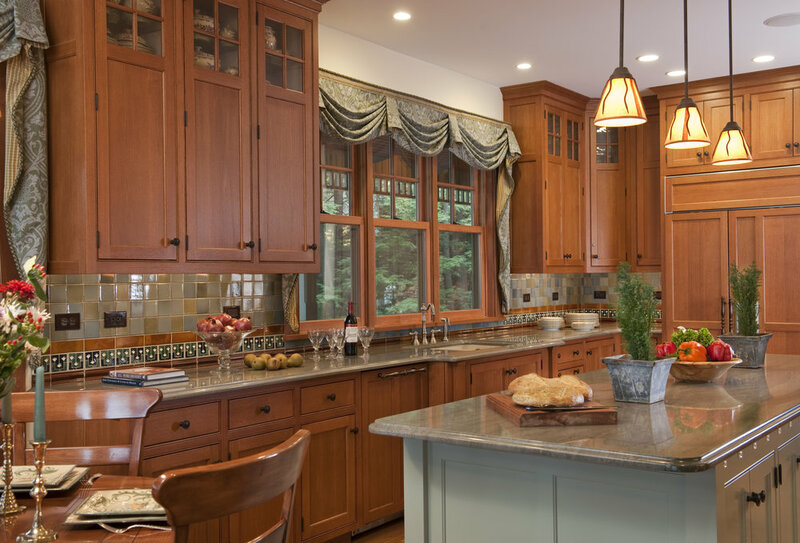 Homes in New Hampshire, which is classified as a cold climate, may benefit from south-facing windows, mudrooms, shutters, skylights, and low ceilings. Energy efficient construction that uses solar panels to convert sun energy into electricity is called photovoltaic construction. While this type of design can be costly, it has many long-term benefits for both the homeowners and the environment. All forms of energy efficient construction have monetary and environmentally friendly benefits. Passive solar homes, Energy Star appliances, and solar panels can cut heating bills significantly while paying for their additional up-front costs over time. According to Energy.gov, “a well-designed landscape saves enough energy to pay for itself in less than eight years.” The long-term payback, along with New Hampshire’s rebate programs, is a strong incentive for homeowners to consider energy efficient construction. As for the environment, energy efficient homes cut down on the nation’s use of nonrenewable resources such as oil, natural gas, and coal. Energy efficient construction also helps to decrease the steady stream of greenhouse gas emissions from homes and businesses. New Hampshire’s shorelines and waterfronts are delicate natural resources, and therefore require special attention when it comes to nearby home construction. State regulations under the Comprehensive Shoreland Protection Act protect water quality, trees and shrubs, wildlife, and other natural elements surrounding rivers, lakes, and coastline. For this reason, energy efficiency is crucial in waterfront homes. Energy efficient waterfront homes reduce emissions of dangerous gases, chemicals, and fertilizers in a fragile microclimate. Can an already established or historic home become energy efficient? YES. The addition of solar panels, new appliances, LED light bulbs, environmentally-conscious landscaping, and insulation in redevelopment or restoration can make an existing home more energy efficient. Are energy efficient practices worth the extra cost? ABSOLUTELY. It has been proven that Energy Star appliances and LED light bulbs use less water and electricity over time, saving you money on energy bills. How do I know which energy efficient practices will benefit my house the most? The microclimate of your home property will determine which practices should be prioritized. During the consultation and design steps of the building process, we will help you decide which kind of energy efficient construction will most benefit your New Hampshire home.